As high school seniors don their caps and gowns, retailers across the nation are in full force, stocking their shelves to prepare for the annual influx of well wishers seeking the perfect graduation gift. Like clockwork, magazines and websites are updating their ‘essential gift guides’ to reflect the latest trends in an effort to advise the uninitiated shopper. These graduation listicles provide readers with generic ideas which seldom amount to more than revenue generating affiliate links for dorm room basics. More importantly, these general lists overlook the needs of a growing population of students arriving on college campuses each year: the global student, whether that be an international student or expatriate student returning ‘home’. Considering just the American students currently at schools abroad, if the number of Americans living overseas were placed in one state, it would be the 13th most populous state in the U.S. Adjusting for growth since the last census, roughly 8 million citizens abroad, comprise a demographic that remains largely invisible. Different from their fellow classmates who live and attend high school in the same country as their university, global students leaving home to study overseas would benefit from graduation gifts as distinctive as their backgrounds. Are you attending a graduation party in the coming months? Forgo the laundry basket or dry erase board and have a look at these fresh ideas that will be sure to please the overseas high school graduate. Passport case: Your graduate will need to keep track of many important documents, including passport and social security card. There are many styles and choices to choose from but this travel wallet from Kate Spade tops my list. With pen holder (think customs forms! ), inner zip, multiple slots for credit and ID cards, and space for the passport itself, this is the perfect organizer for your independent traveler. Supplement with cash and gift cards for the ultimate splurge! 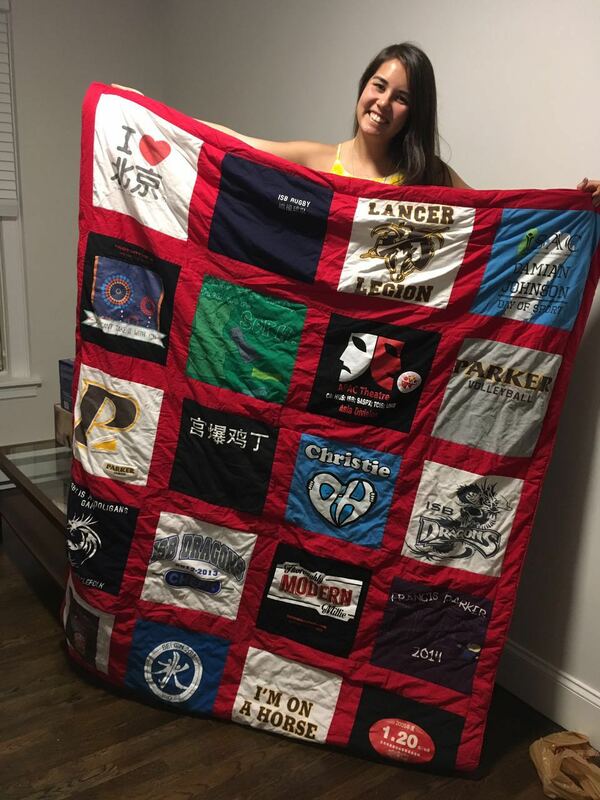 A t-shirt blanket: Recycle all those sports teams and drama production t-shirts and create a practical gift and memorable keepsake at the same time. Consider choosing your graduate’s college colors as the base for the blanket. If you don’t have access to affordable tailors in your host country, a number of vendors on Etsy can create your blanket for you. 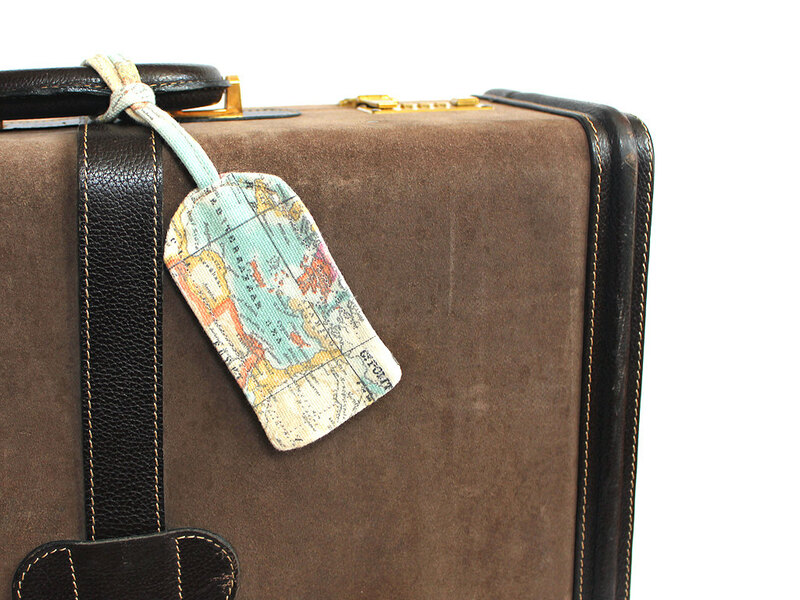 Luggage: No, not the clichéd suitcase gift; but family and friends traveling overseas for the graduation can offer to transport a suitcase to the U.S. As airlines have reduced free baggage allowances over the years, the gift of a check in bag is worth upwards of $100 on many carriers. Yours is a bonus gift if you offer to store a suitcase of winter clothes in your home until mid autumn as it lightens the load for an expatriate on college move-in day as well. Photo session: Schedule a professional photo session on location in one of your favorite host country parks or neighborhoods. Though the photos themselves will be keepsakes forever, the scheduled family outing at one of the busiest times of the year is an additional bonus. Choose a favorite to frame and give to the graduate for the dorm room. Music/Books: In digital or hard copy format, gifts of music and literature in the host country language are gifts of entertainment and education. They offer a great way to stay culturally connected and maintain host country language skills. Thinking of going old school? A host country related magazine subscription will ensure your graduate is the envy of all in the mail room! Maps: Don’t settle for an everyday wall map. There are dozens of map inspired pieces of art, jewelry, clothing, and accessories to honor all the places your graduate has called home. It’s a chic way to personalize any gift. Transportation: For the global nomad, there can be no greater gift than mobility. Depending on transportation options in the graduate’s college location, giving rides on LYFT, a metro card, or a bike share membership is giving your graduate the means to explore a new location! Whether you’re celebrating with the graduate in person or in spirit, your gift can be meaningful and momentous. Let these suggestions stimulate your own ideas so that your ultimate choice will reflect the extraordinary transition of the recipient. Leave that “Class of 2017” mug on the store shelf, and get ready to celebrate the exceptional nature of your graduate’s achievement. About the author: Barbara Carletta Chen is the Beijing based China Admissions Representative for The University of Tulsa, a member of International- ACAC, and a frequent presenter at EducationUSA workshops. She earned an M.S. Ed. 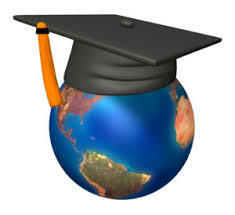 in Higher Education from The University of Pennsylvania, a B.A. from Georgetown University, and successfully completed the University of California, San Diego College Counseling certificate program. She is the author of Eight Essential Steps: Admissions officers share their tips for successful college applications from Americans living abroad. Specializing in undergraduate admissions with a deep understanding of China, she has a sincere appreciation of the challenges presented to Third Culture Kids as they navigate the college application. Comments on "GIFTS FOR THE GLOBALLY MOBILE HIGH SCHOOL GRADUATE"
Another great way to recognize student's achievements without buying into (pun intended) the retail craze that surrounds graduation is to make donations in their names to organizations working in something related, like university education access. This site presents a directory of nearly 30 such organizations working in Africa. http://www.haliaccess.org/ There are surely many others doing similar work in each IACAC member's region, as well as a whole host of other charitable causes that can be supported in your students' the names.